Songwriter. Guitarist. Singer. Bandleader. At only 20 years of age, Marcus King’s dazzling musical ability is evident throughout The Marcus King Band, the young phenom’s 2ndfull-length LP and first for Fantasy Records. Operating within the fiery brand of American roots music that King calls "soul-influenced psychedelic southern rock," the album highlights King’s gorgeous, rough-hewn vocals, soaring guitar work and heartfelt songwriting all amidst a group of masterful musicians who, together, are quickly becoming one of the country’s most sought after live acts. Raised in Greenville, South Carolina, King was brought up on the blues, playing shows as a pre-teen sideman with his father—bluesman Marvin King, who himself was the son of a regionally-known guitarist—before striking out on his own. Going beyond the sonic textures of his acclaimed 2015 debut album, Soul Insight; The Marcus King Bandbroadens his sound, touching upon everything from funky R&B to Southern soul and Americana in the process. His band gets in on the action too, stacking the songs with blasts of swampy brass, a lock-step rhythm section and swirling organ. Ever the multi-tasker, King bounces between several instruments, handling electric and acoustic guitar — as well as pedal and lap steel — while driving each track home with his soulful, incendiary voice. Having spent the past year tirelessly playing ever-larger venues and festivals to a burgeoning fan base, The Marcus King Band was written on the road and recorded during a series of live takes at Carriage House Studios in Stamford, CT.The album captures the energy of the band's blazing live show, as well as the talent of a rising young songwriter reaching well beyond his years. "The majority of our songs are specific to situations I've lived," King explains. "I write as a form of therapy, to release my emotions into a musical expression. I want people to know they're not the only ones going through that pain. Music is the true healer. And when we perform, we want the audience to leave feeling as tired and as emotionally freed as we do. It's all about getting the stress of the day off your chest. It's like therapy." 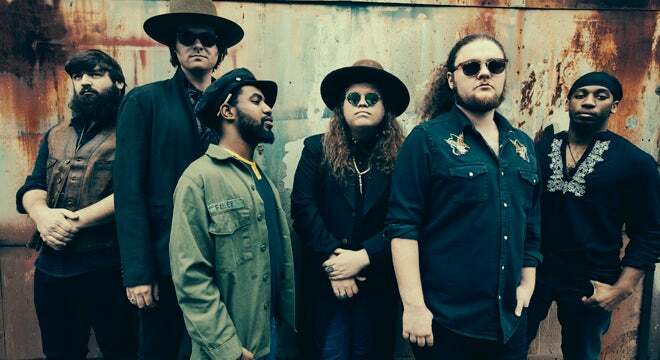 The Marcus King Band features Jack Ryan on drums and percussion, Stephen Campbell on bass, Matt Jennings on keys and organ, Dean Mitchell on saxophone, and Justin Johnson on trumpet, trombone and backing vocals. Joining the band on the new album are a number of mentors and collaborators, including Derek Trucks (who plays guitar on "Self-Hatred"). No guest plays a bigger role than Warren Haynes, though. 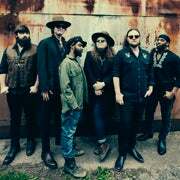 A longtime champion of King's songwriting and guitar prowess, Haynes produced every track on The Marcus King Band(and contributed his trademark slide guitar on "Virginia"), expertly capturing the group's live sound for a cohesive collection reflecting the band's expansive explorations. A childhood introvert who leaned heavily on music as a way of expressing himself, King fills The Marcus King Band with a mix of biographical tunes and fictional story songs. "At the time I wrote 'Self-Hatred,' says King, "the girl I was seeing really hurt me. Broke my heart, took all of my insecurities and used them against me…she told me she hated herself for what she had said and done to me. I told her I knew exactly how it feels to hate yourself. 'Self-Hatred' is within you and me." "Devil's Land" is loosely based on his grandfather, who worked on a farm during his younger years, while the story behind the track "Rita Is Gone" was inspired by the television show Dexter. Meanwhile, songs like "Guitar In My Hands" peek into King's personal life — a life filled with highway mile markers, truck stops, and a nightly rotation of stages, all waiting to be filled with the sound of a genre-bending band on the rise. "This album is a big melting pot of different kinds of music," says King. "It's the sound of everyone taking their own influences and collectively coming together as a group. We're all really hungry to play, and we're so passionate about this music. I want people to feel the same thing we feel — to leave the show feeling some sense of release. It's almost like the show ends, and everyone can take a deep breath together."